Those of you that know me well will laugh when they see the title of this post. Quilting, yes, gardening no. I've tried to garden during various times of my life and I'm just not successful. My terrarium in the 1980's survived just fine until I moved to Texas (and I left it behind). While we were living in Florida I read an article that was titled "Six houseplants even YOU can't kill!" They were wrong. I picked one of the plants, put it in a window with full sun as advised. It was burned to a crisp when I got home from work that day. Guess I never considered Florida sun being different from Oregon sun. I always felt like a true gardener, or someone with the gardening gene, would know that intuitively. So, I made a deal with my husband... if he grows fruits or vegetables, I will can them. If he grows flowers, I'll enjoy them. 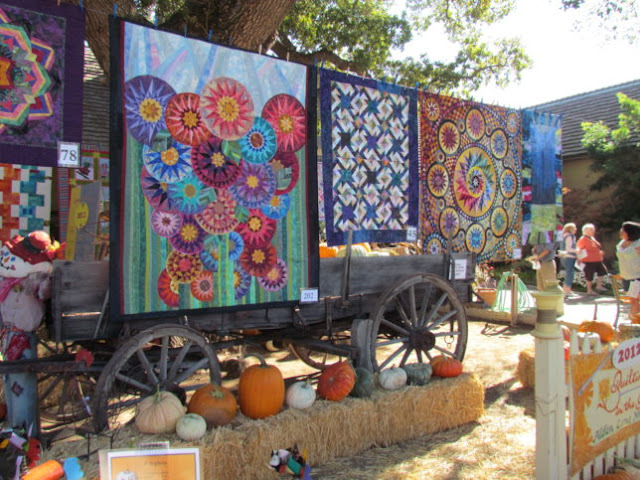 No, this Quilting in the Garden is a fabulous show in Livermore, California held at Alden Lane Nursery. Each year Quilting in the Garden at Alden Lane Nursery is special, unique and amazing. Hundreds of quilts from celebrated artists and the quilting community are hung for display throughout the nursery. Our enormous and beautiful heritage oaks serve as both support structure and background for this wonderful 2-day display of color. The quilts go up by 9:00 each morning supported by dozens of quilt lines. Quilts come down each night. 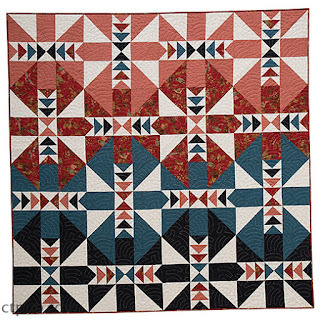 Every year the show features a well-known quilter and a guest artist as well as quilts submitted from the quilting public. I'll be having three quilts in the show this year... and I'm thinking about a little road trip to see them. Have any of you ever been to this show or the In Between Stitches shop? Visiting shops would certainly be a bonus of my trip. Any other local shops I should visit? My little bundle of fabric finally arrived and I tore right into it! 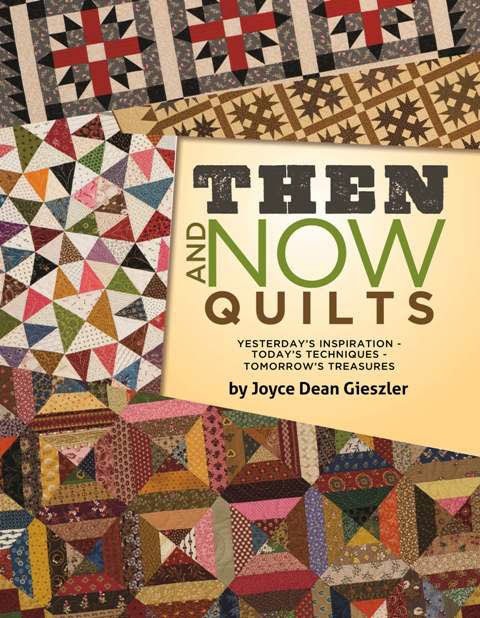 Once I read the instructions, I was a bit disappointed we were making such a small bit of the quilt. Boy was I wrong. I'm so happy all we did was a small bit! Working on this corner allowed me to practice on every single component of the quilt. I made notes in my pattern about what I did differently that worked better for me. 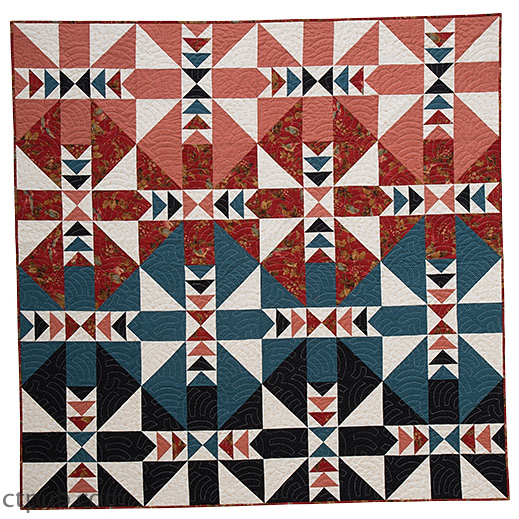 I made a paper-pieced pattern for the sashing. I had templates made at Tap Plastics of the small and large diamonds so it would be easy to cut and trim pieces. This is not going to be a rush-through-it quilt, that's for sure. I love the results and can't wait for next month. No, I haven't sewn these parts together yet. I'll wait for the whole quilt to be finished to get happy with the balance of colors. My first book was published under the Kansas City Star imprint and they were great to work with. Right after I got a contract for my second book, however, I found out that Kansas City Star (KCS) was closing its doors. C&T ended up buying KCS and I got a new contract for book #2. Last July I started making quilts like crazy... six quilt tops in 26 days! I don't recommend that pace EVER. I have to say I've really enjoyed working with C&T and they have made me feel like I'm part of a huge extended family. When my brother Dan passed away, an office full of people who have never met me signed a card full of caring and compassion. It was very touching. The experience has been different as well. With KCS, I worked with one editor and really got to know her. 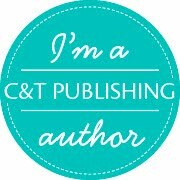 With C&T, I've worked with a bunch of editors. Different style, equally enjoyable. Turns out that the technical editor (Nan Powell -- you rock!) on the second book is the same person who edited the first, I just didn't know it.